Last night, since it was Pioneer Day, we watched 17 Miracles as a family. 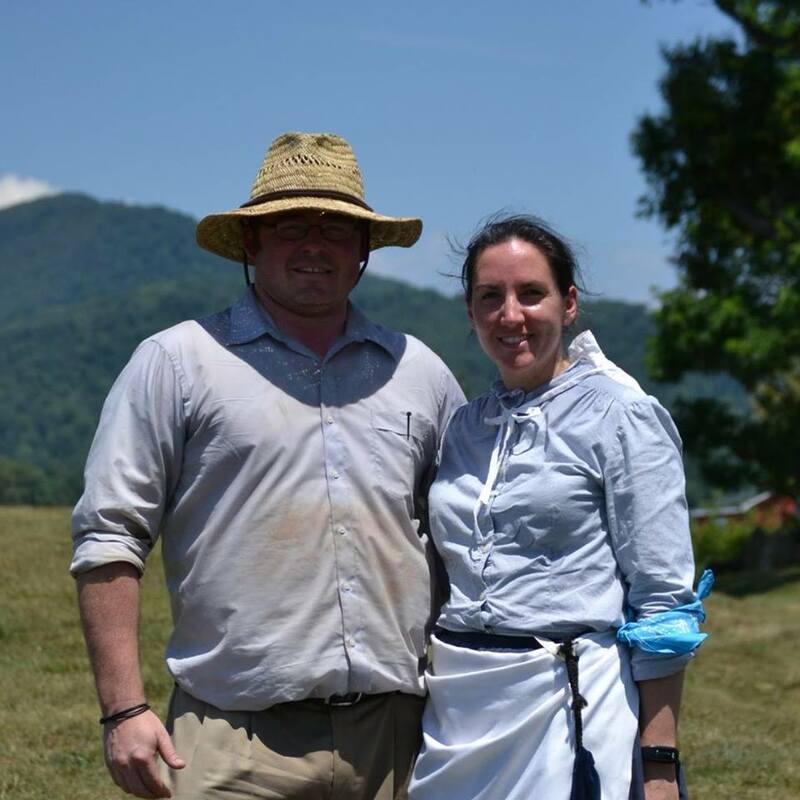 It was especially interesting for my husband and me, as we had just returned from our Stake's Pioneer Trek with youth ages 14-17. Chad and I were 'Ma and Pa' for a group of 7 kids (none of them our own, and none of them related to each other). The temperatures were in the 90s with heat indices reaching closer to 100. We dressed in pioneer clothing- long sleeves for all, long pants for men, long skirts and aprons for women- and hiked about 8 miles over the course of 2 1/2 days, pulling loaded handcarts. We camped at night- no running water, so no showers or flushing toilets (at least we had port-a-johns). The scenery was beautiful, the kids were astonishingly helpful and cooperative and tough, and all in all it was an amazing experience. And as we watched the movie last night, I started reflecting on some of the miracles we experienced during our little trek; miracles that were perhaps smaller than those the true pioneers experienced, but were profound and inspiring to me nonetheless. 1. We were asked to go on Trek about 2 1/2 weeks before the trek was to begin, and we were fairly certain we would have to say no. We didn't know who we could get to watch the kids on such short notice, and we were almost certain Chad wouldn't be able to get the time off work. His boss had initially agreed to give him time off to go to Scout Camp with our son, but he cancelled it at the last minute. And even if he did get the time off, we are so tight on money right now that the time off would really hurt us financially. Well, Chad happened to see his sister and mentioned our invitation to go to Trek and she immediately volunteered to take our kids for us. One hurdle down. Chad hesitantly asked his boss if he could get the time off, and his boss said yes right away, and said he owed him one for having to cancel on him before, and promised no cancellations this time. Second hurdle down. The last one was up to us, and we decided that if the Lord was gracious enough to throw open the doors for us to attend, then we'd trust in Him to take care of our finances. And He has. Thank you, Lord, for giving us this amazing opportunity. 2. On the first day, I started catching a cold. By lunchtime I needed to have tissues on me at all times, because I was blowing my nose quite a bit, and I had that oh-so-fun ever-present tickling sensation that was making me sneeze. That night I said a prayer, and I told God that I didn't know how effective I'd be in this service with a cold. I asked if I could get some relief, just enough so that I could function. The next morning I woke up feeling totally fine. I felt fine the whole day. The next morning I felt perfect. That afternoon after we'd loaded the car up with our belongings and started for home I started coughing. That night my nose was stuffed up, and I woke up in the morning totally hoarse and still coughing, blowing my nose again. Thanks, Lord, for sustaining my health just long enough. 3. The day before we left, the rubber on the sole one of my running shoes started coming off, flapping every time I walked. I knew that it was too late for me to break in another pair of shoes for the trek, so I super-glued it and said a prayer that it would last. And last it did! I had no problems at all with it- until we stopped on the way home to pick up our kids. I got out of the car and the sole almost immediately started flapping. Thanks, Lord, for keeping my shoe together just long enough. 4. I'll combine these into one, although it could probably be many more: in the final testimony meeting, 4 of the 6 of our remaining kids (one had to leave early) bore testimony, and 2 of them told of receiving answers to prayers. Many other kids told of how they came to Trek with doubts and were leaving with hearts that were full of faith. There were others who told of a life of hardship- of not being accepted in school or even in their own families- and from coming to Trek they learned what love really is. Miracles upon miracles. Thank you, Lord, for changing hearts. 5. On the final day, we had a tough pull uphill in the hot sun- no shade. We had done the same route the day before and it had really done a number on us. The heat index was around 100, and we were all exhausted from the previous two days' exertions. As we climbed, however, a steady breeze picked up, cooling us as we went. I mentioned this to the girl I was walking with, and I said, "Thanks for the breeze, God! We needed it!" She laughed a little and said, "Hey, would you mind making it a little stronger? That would be great." Just then a gust came along and we both just started laughing and said, "Thanks!" This girl was not a member of the church, and she came from a broken home. I hope that this little miracle helps her to remember that God is mindful of her always. Thanks, God, for reminding us you're always there. 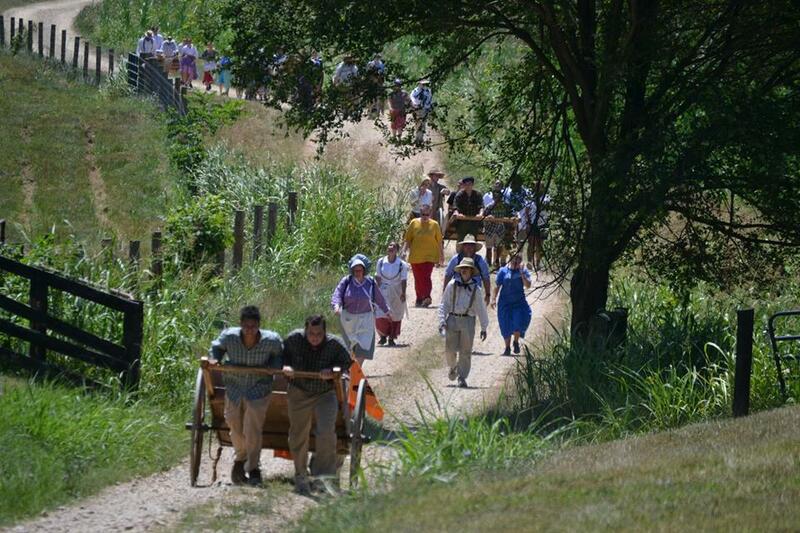 I was only one of about 85 people on this trek, so I know that there were more miracles that I didn't even see. But this experience reminded me that when we trust in Him, when we press forward in faith, even when we can't see what's ahead, He will take care of us. He doesn't always take the challenges away completely; sometimes He just makes them easier to bear. And sometimes He just sends some reminders that He's with us, to help us keep going when it gets tough. We didn't go through the same trials that the original pioneers went through, but I think our experience helped us to appreciate them a little bit more, and it certainly opened my eyes to the way the Lord can still work miracles for those who believe.